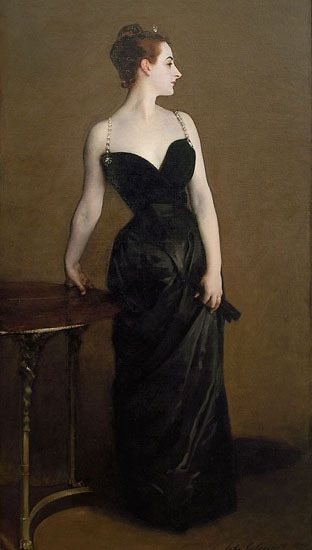 "Madame X" by John Singer Sargent. A favorite. Isn't she glorious? I want red hair. On me: H&M dress, plain white tee won over, DIY headband, and purse from Egypt.I just love that little pop of yellow! This is me missing the warm weather of days past. Come back warm weather!!! Come back! love your headpiece! SO cute! I love that outfit and shoes! 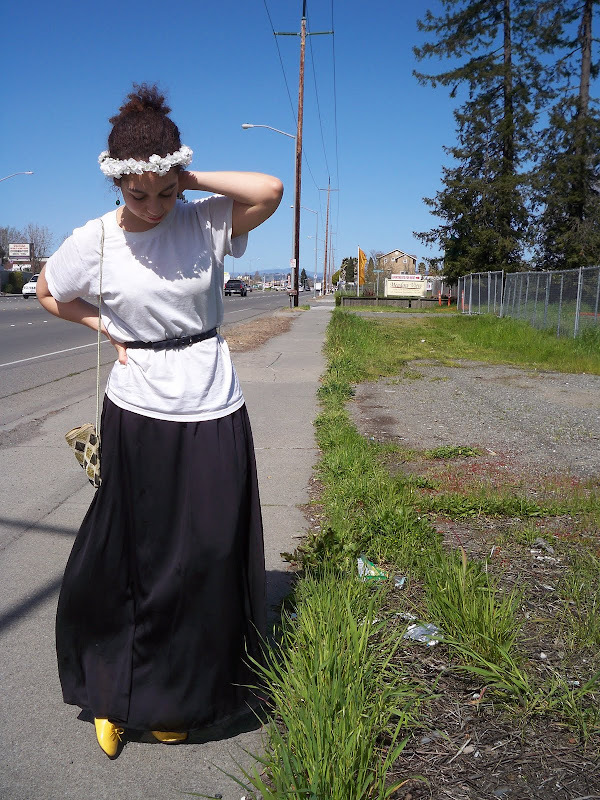 Oh I LOVE the long skirt! Definitely something I haven't seen a long time. PS, your headpiece is fantastic. great diy. can i join you in this call out for good weather? I love your flower headband! your outfit is adorbele !!!! I love this outfit! The maxi skirt, the cinched waits and that GORGEOUS head piece. Lovely silhouette! 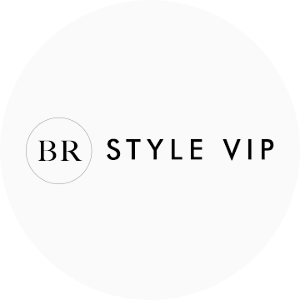 Thanks for coming by my blog.